My favourite accommodation in Ios Greece is George’s Place. 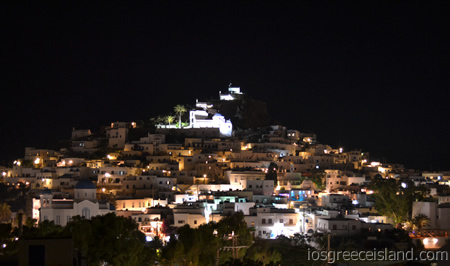 I have spent many summers on this lovely island and have tried many different hotels in Ios and visited even more during my time on this Greek island. But now I only stay at George’s since it has become my favourite place to stay on Ios. It is of good standard and with low prices and beautiful views as seen in the pictures below. It is run by a very friendly Greek family and they always make you feel welcome and right at home here. They have about 15 rooms to let for 2 to 5 people. Each room comes with private shower, TV, Air condition, refrigerator, and free WiFi in all areas. 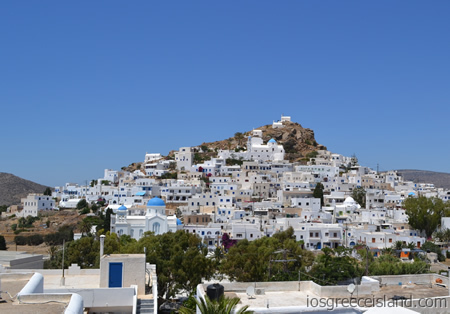 Some rooms have a private balcony and all have access to terraces and open areas where you can get to know your neighbours, a very social hotel in other words and perfect for most tourists to this island. To book a room call the number in the box. 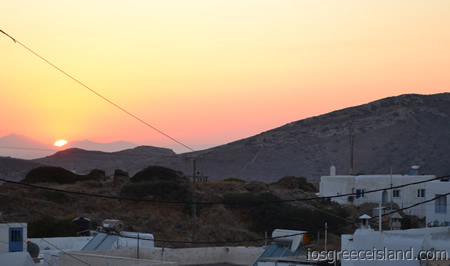 Most tourists come to Ios to party and have fun in the summer. Come during the high season for some amazing warm up partying at this hotel on Ios. Most people come to Ios to be social and this is a hotel build with that in mind with large terraces inviting the guests to bound over a drink or two before they head out to the bars and clubs in the village. You can also visit for a more relaxing holiday if you come during the start or end of the season. Ios in Greece have something for everyone and it can be both quiet and beautiful if you come at a different time than during July and August. The perfect place for a relaxing and re energizing holiday. 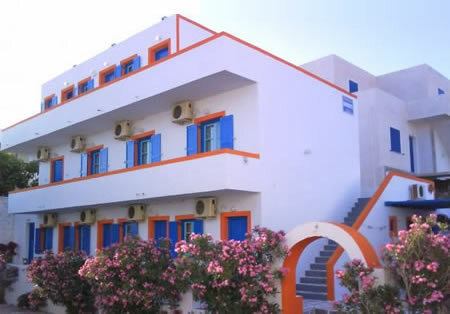 Enjoy the amazing scenery and the relaxing Greek lifestyle with no worries at this accommodation. Prices are low on the island and so are also the rent for a room. The prices vary depending on season and you can stay really cheap during the beginning and end of the season but the prices rise during the high season. So if you are looking for a relaxing holiday then you can also benefit from the low prices during the early or late season in Greece.